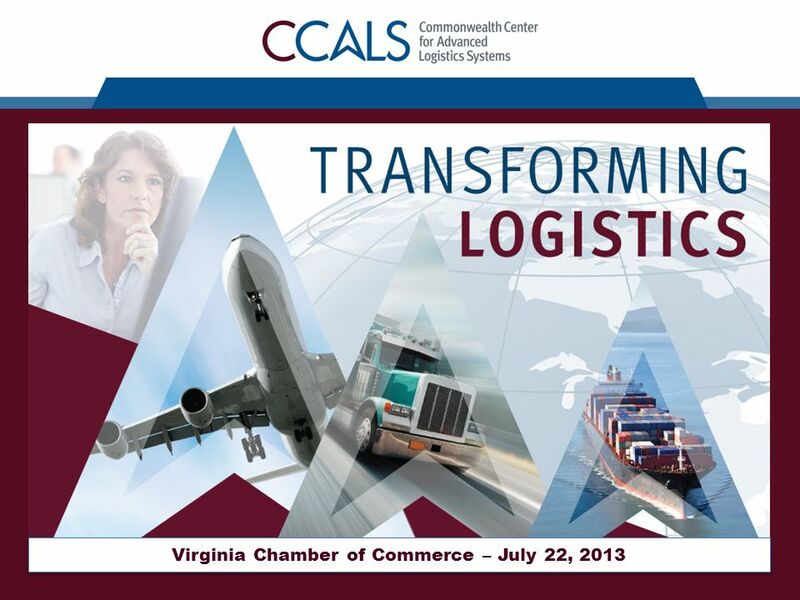 Virginia Chamber of Commerce – July 22, 2013. 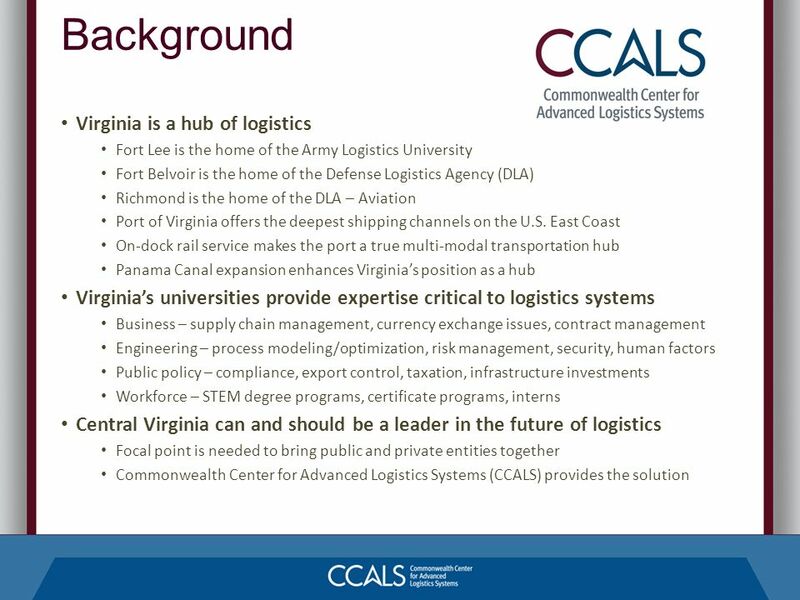 Background Virginia is a hub of logistics Fort Lee is the home of the Army Logistics University Fort Belvoir. 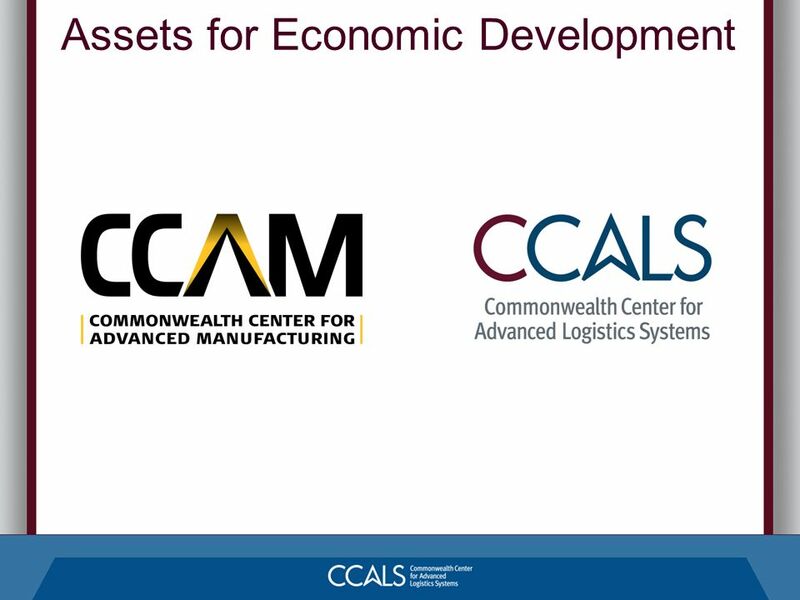 Download ppt "Virginia Chamber of Commerce – July 22, 2013. Background Virginia is a hub of logistics Fort Lee is the home of the Army Logistics University Fort Belvoir." Looking to the Future for the NDA Skills Strategy Dr Ian D. Hudson, Head of Technology & Skills Division Nuclear Safety, Security, Environment and Engineering. 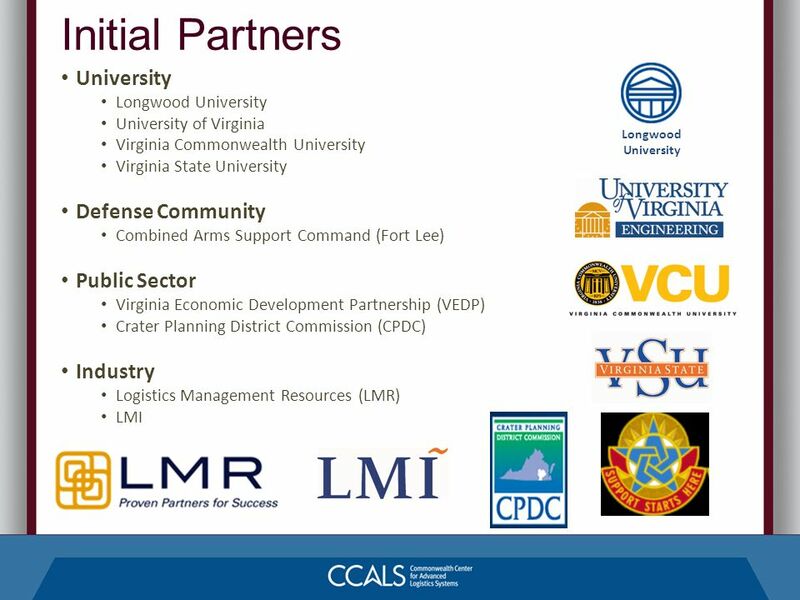 Program partners engage in a broad range of security cooperation activities to include homeland defense/security, disaster response/mitigation, consequence/crisis. Manitoba International Gateway Strategy Manitoba Infrastructure & Transportation. 2011 ADC WINTER FORUM | PAGE 2 Army Energy - A Player in the New California Gold Rush Leveraging Private Financing for Increased Renewables Ms. Aubris. 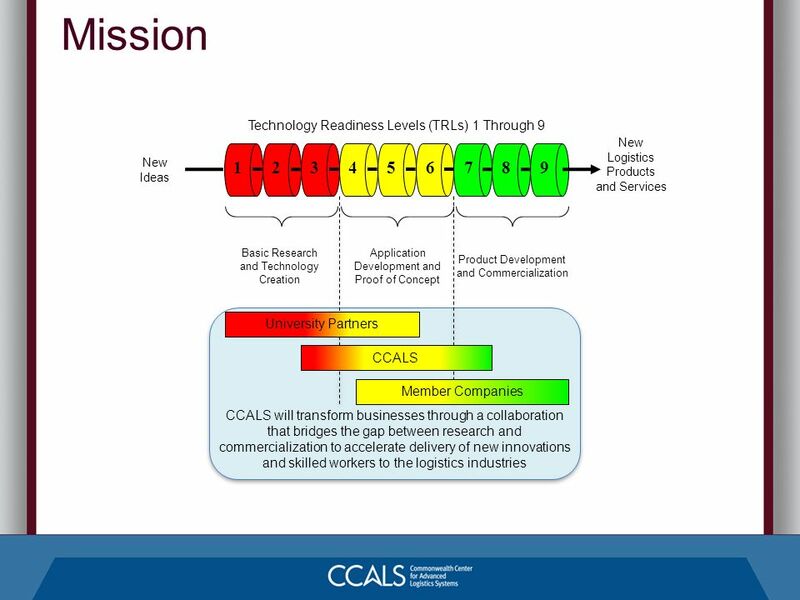 Private Sector Perspectives on Federal Financial Systems Modernization and Shared Services. 1 From Richmond to the Oceanfront The Creation of a Mega-Region Thomas R. Frantz President & Chief Executive Officer Williams Mullen. 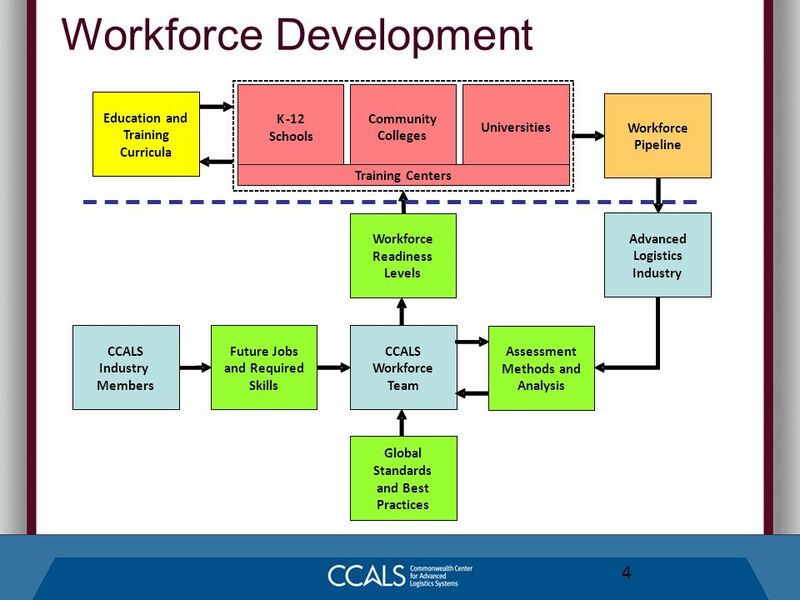  align education/services to serve economic and community development  prepare the emerging workforce  offer portable skills and credentials to the. Tees Valley – it all comes together. Location / Lifestyle Five distinct boroughs to offer cosmopolitan town centres, dramatic coastline and rolling countryside. Think GLOBAL think HONG KONG Advantages of Pearl River Delta Plus: Leveraging Hong Kong Service Platform to Support Cross-border Business Operation Hong. SOLENT LOCAL ENTERPRISE PARTNERSHIP TRANSFORMING THE SOLENT ECONOMY Anne-Marie Mountifield Chief Executive, Solent Local Enterprise Partnership (LEP) Informing. Construction Industry Council Economic Forum Stephen Dance UNCLASSIFIED. Returning to Our National Waterways Dabney Hegg U.S. Senate Committee on Commerce, Science and Transportation.